Watch videos from Mutual Self-Help Housing programs. Find an organization near you! There's approximately 100 organizations nationwide participating in the Mutual Self-Help Housing Program. What do Self-Help houses look like? 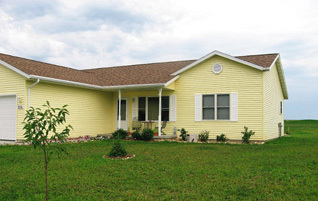 See our photo gallery of various Mutual Self-Help Housing projects across the country. From the construction process to the finished product - a home! Mutual Self-Help Housing organizations from across the nation are celebrating the 50,000th house built in 50 years of this wonderful program. The Self-Help Housing Program gives you the opportunity to build your own house. Working together with other families, you will learn valuable construction skills as you build your own house. There is no construction experience required because our construction supervisor will be there every step of the way. The months that you spend building your home can save you as much as $20,000, and there’s never a payment to make during construction. 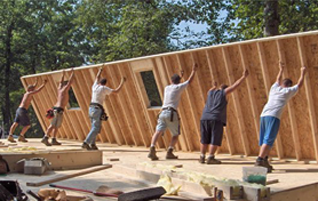 Mutual Self-Help Housing consists of families working together to build their own homes. With self-help housing organizations nationwide, you are certain to find a program near you. View testimonials from past participants and suppliers that have worked with the self-help housing program.